In line with our philosophy of also wanting to achieve a social and ecological effect, each year we distribute a part of our economic profits to a domestic, preferably regionally located charitable institution or a person in a critical situation who needs support. 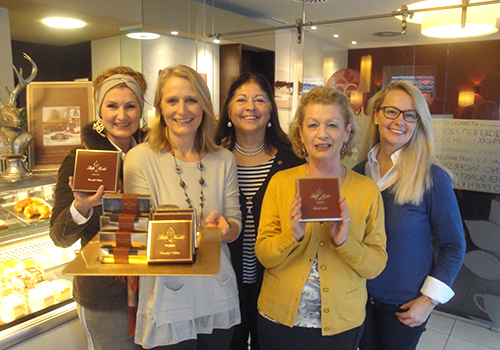 We will ceremoniously present the funds each year during a pre-Christmas charity event at our Café Gruber in Oberndorf. Already since 2014 we have an active membership with "Club Soroptimist International", a worldwide female Charity-Association, who are supporting social projects for women.